About A Rosie Place for children. A Rosie Place for Children is situated on five beautiful acres in South Bend, Indiana. 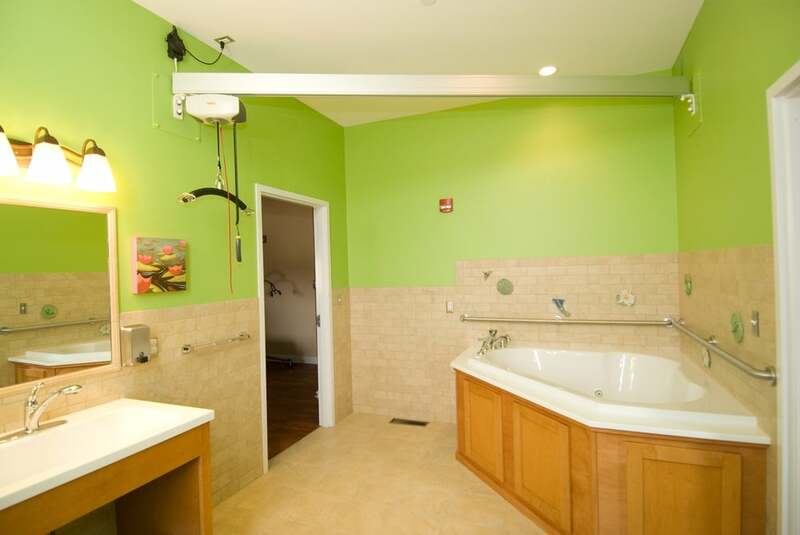 Accommodations include six unique kid-friendly bedrooms the children like to call their own. Our home is warm, spacious and colorful featuring nature-inspired themes. The saltwater aquarium, colorful murals, outdoor pond and waterfall are just some of the fun features the children love. Families choose our respite care service for a variety of reasons. Our staff understands the importance of continuity in each child’s care, and respects the role of the caregiver at home. An in-depth assessment is provided by one of our registered nurses to ensure quality care and comfort. A Rosie Place is currently open three weekends each month. Please contact us for more information. 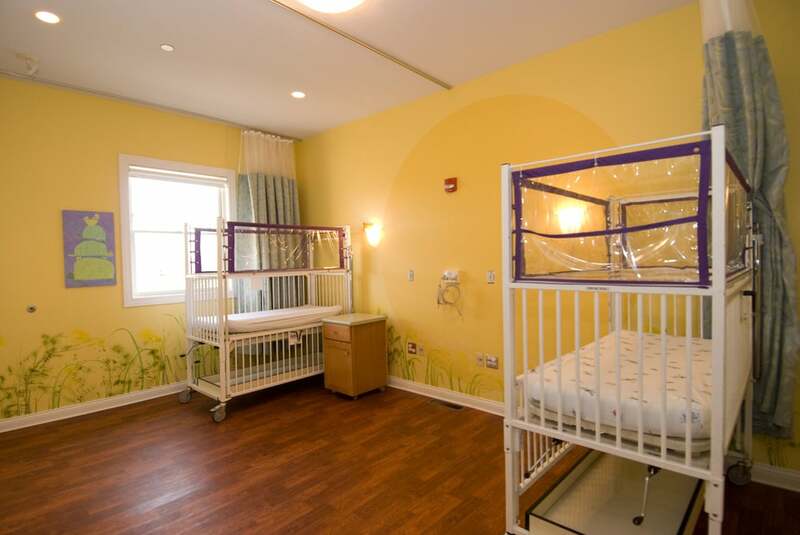 A Rosie Place for Children is the first (and only) specialty hospital in the state of Indiana exclusively for children who are medically fragile. Although we are a highly equipped hospital, capable of caring for the most complex pediatric conditions, we like to emphasize our home-away-from-home environment. A Rosie Place for Children depends on the generosity of the community. We depend on dedicated individuals, businesses, and various entities to help us serve the community by providing a level of excellence our families and children who are medically fragile deserve. See the list of some of our supporters here.